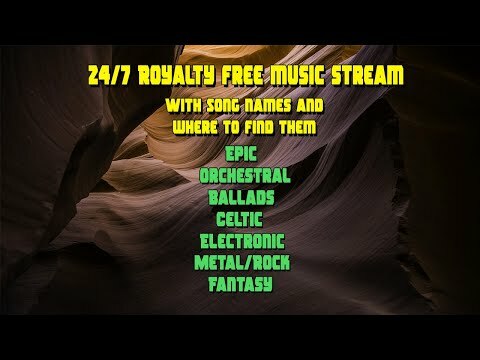 YouTube Music Livestreaming Radio 24/7 Royalty Free Music! Epic, Fantasy, Celtic, Ballads, Metal, Electronic and more! 24/7 Royalty Free Music! Epic, Fantasy, Celtic, Ballads, Metal, Electronic and more! Welcome to the 24/7 (hopefully) livestream! Remember you can always download these pieces royalty! If you find a perticular song just search for it on my website. Purchase uncompressed HQ .wav's at BandCamp (Creative Commons)!